Fee: $3800 includes 6 days total shooting in the field, ground transportation, I'll help coordinate your hotel reservation as well. The fee does not cover meals during the photo tour. Deposit: $1600 - this will completely cover your hotel cost from the day before the trip starts through the morning after. The total tour fee of $3800 will be due 30 days before the trip begins. Leader: Matthew Studebaker. 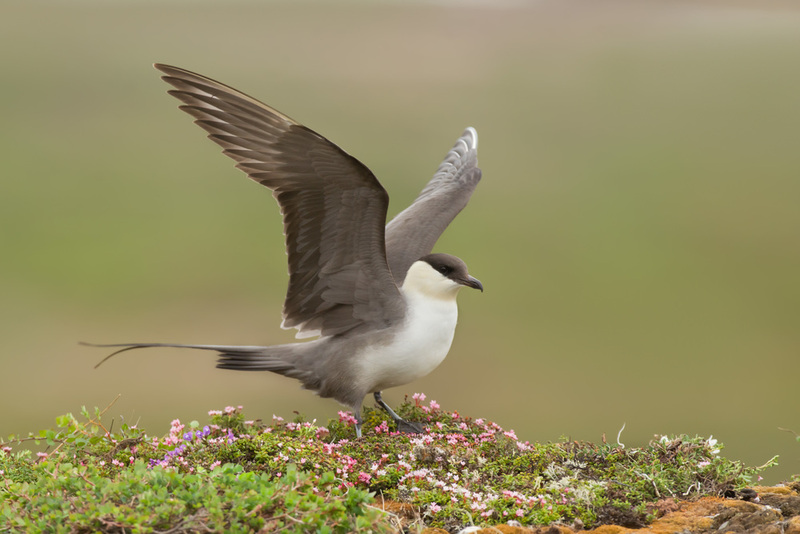 Matthew has been a birder for the last twenty-five years, and has been visiting Nome for the last nine years. 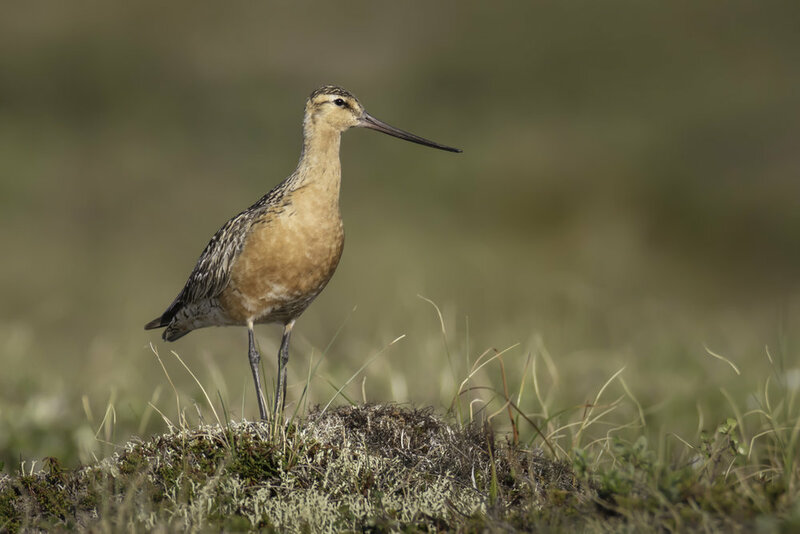 Nome is Matthew’s favorite place to photograph birds and it is Matthew’s goal is to be far and away the world expert at photographing birds in Nome. 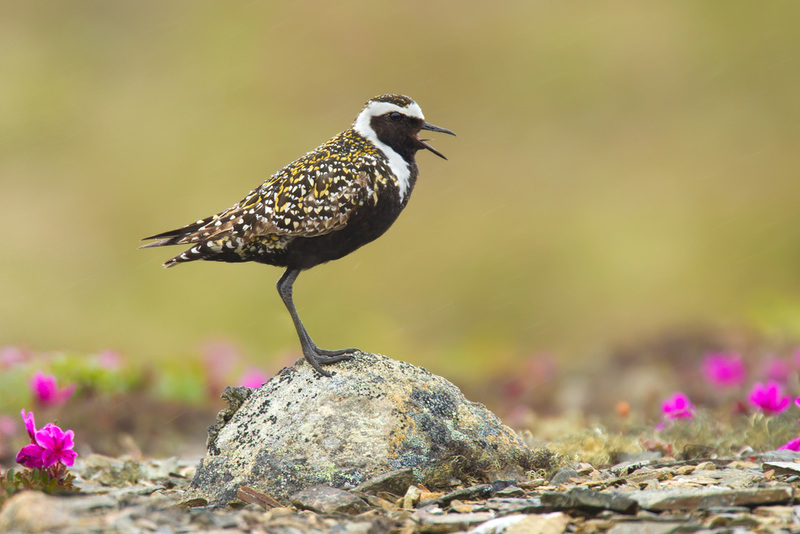 Photograph warblers in a boreal forest, arctic tundra nesting shorebirds, and Asian strays all in the same day. Nome is incredibly beautiful and diverse. Almost 200 miles of roads lead out of the main city. I know where and when to photograph each specialty species. I am by far the most experienced photo tour leader currently running trips out of Nome. As a birder as well as a photographer, I have all the bird songs memorized in order to quickly locate birds for the group. I promise to work tirelessly to create photogenic situations, set-ups, and get the group close to the target species. 2019 will be my 8th consecutive year leading this popular photo tour. Equipment: I recommend bringing a digital SLR with matching lens. On this photo tour, the longer your lens the easier it will be to make outstanding photos. Anything less than a 500mm prime lens will probably not be enough. Physical Activity Requirements: Moderate activity. Much of the shooting will be within a hundred feet of the car, but on occasion we may need to venture up to 1/4 mile from the road. You don't have to be an athlete, but if you aren't in good physical condition this photo tour is not for you. If you have knee or back problems, or have difficulty walking while carrying your equipment, this photo tour is probably not for you. The sun in Nome only sets for a couple hours, and it's never quite dark. In order to take advantage of the best light, our shooting schedule wil involve splitting up the day's sleep into a short night's sleep, and then a longer mid-day's rest in the afternoon. Participants are required to bring chest waders and a bag blind. If anyone feels uncomfortable wading in knee deep water they may opt to stay in the van during our few photo shoots which require getting in the water (for Red-throated Loons, Long-tailed Ducks, and a few other species). All the other species can be photographed on dry land. Flights – Nome airport (airport code OME) has several 737 flights per day from Anchorage or Fairbanks. Flying to Nome should be easy. 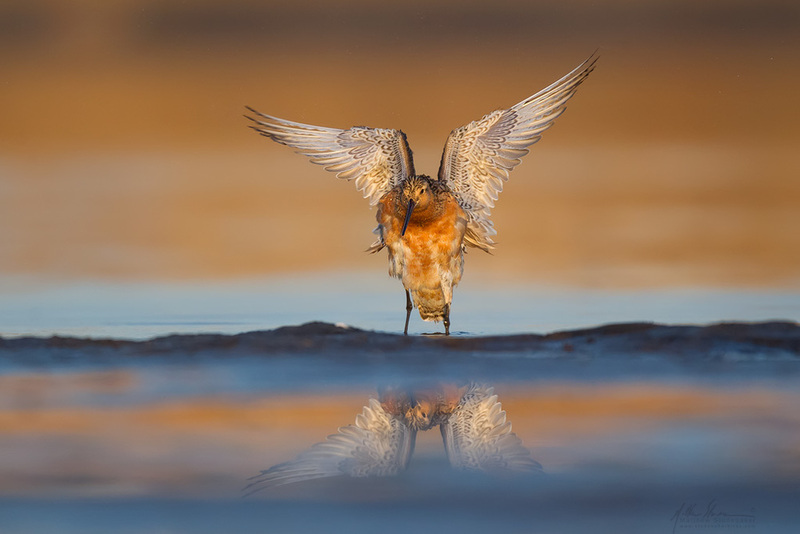 Waders: We will only NEED waders about 5-10% of the time for photographing loons, grebes, and maybe a few shorebirds, but most of the time ankle high WATERPROOF boots will suffice. When we do wade into water I don't intend to get deeper than about two feet, but I recommend chest waders so that we can set our cameras low to the water and can crouch down and photograph at a low angle. Even when we are photographing on top of a small mountain the tundra still tends to be spongy so it is vital that your hiking boots are waterproof. I found a very comfortable pair of canvas waders this year. They feel more like wearing jeans, so I may opt to wear those more often that not just so that I can sit or kneel down without getting wet. If you don't plan on wearing waders most of the time, I at least strongly recommend just bringing a pair in the car with you. One year I wore neoprene waders and I hated them. They restricted movement and were heavy and uncomfortable. I recommend going to your local sporting goods store and trying on several different types to find a comfortable pair before making a selection if you haven't already. I use a lightweight pair with built-in boots called "frog togs". Boots: As mentioned, a pair of sturdy, waterproof hiking boots will be a welcome break from the waders at times we are staying higher and drier but the waders should be close at hand (ie. in the van) at all times as the tundra is generally wet due to the permafrost. Jacket: Waterproof and breathable are imperative. Bring a jacket that is large enough to layer under and light enough to be worn on warmer days. Hat and Gloves: Waterproof gloves are often too bulky for operating camera controls. I prefer a light to mid weight glove for my right hand and will often wear a heavier waterproof glove on the left to aid in getting up off the wet tundra. Gloves and hats made of wind-stopper material is a plus in Nome as strong winds off the ice pack prevail when we are near town. I will be bringing at least two hats and up to 3 pairs of gloves. On warm days where misquotes are a problem, a good option is to bring medical latex gloves. This provides a barrier for the insects without being too warm. Bag Blind and/or Gillie Suit. I do strongly recommend one or the other because we will be in Nome in nesting season. Last year we found and photographed the following nests using bag blinds and were very glad we had them along: Northern Shrike, Northern Wheatear, Lapland Longspur. Bug Spray: Could be necessary if the winds shift from the south and the temperature spikes up to near 70 degrees. Eye Mask: I prefer complete darkness to sleep. The hotel will have curtains but light will still get into your rooms. If you need complete darkness to sleep definitely pack an eye mask. Ear Plugs: We will sometimes be sleeping when most of the rest of the town will be up and about. Road noise and loud people in neighboring rooms should be planned for. Super telephoto lens. Anything less than a 600mm will need a tele-extender attached. Most days it will be common to wake up in Nome and have an arctic wind which drops the temperature to the lower 30's. Traveling inland, some afternoons we could easily see the 60's or even 70's so dress in layers and be prepared for big temperature swings. My experience is that most days the light fades by 11pm or so. In the morning, I may give each of you a wake up call because wake up times will be highly variable and I want everyone to get as much sleep as possible. If we are shooting near town and the ice fog lingers into the morning, we may not need to be up until 7. If it's sunny and we need to be at the end of Kougerok Rd. first thing, we may need to get up and meet as early as 5am (in which case I'll let you know the night before and give everyone at least a half hour to get ready). Most of the time the birds become less active and the light becomes harsh around 10am or so. At that point we'll often head back to town for a quick lunch, and then will need to sleep until late afternoon around 5pm at which point we'll have dinner and then head out for evening shooting. The schedule is a little crazy and takes a couple days to get used to. I want all of you to be totally honest with me and let me know how you are doing on sleep, food, etc and keep me abreast of your needs. It will be almost irresistible to push ourselves somewhat hard but it will be my job as the leader to pace us so that we aren't total zombies after the first day. On most of my trips, I have a mix of two types of participants. The first kind of participant may want to maximize every minute of shooting time, forgo sleep, and push really hard. I will accommodate this type of person and try to push hard as well. There may be others who would rather take a more relaxed pace and would not enjoy missing so much sleep. For these people I want to encourage them to not feel like they have to join the group for every single session. This is YOUR trip, and I want you to enjoy it, and get exactly what you want out of it. I try to structure the schedule so that you can shoot anywhere between 8 and 16 hours per day if the weather cooperates – ITS UP TO YOU. Transportation and gas: that's included in the workshop fee during the scheduled trip dates. If you arrive early or want to stay late, please arrange your own transportation. Early Arrivals: Feel free to arrive in town as early as you like and stay later. Unfortunately, I can’t accommodate early arrivals in my vehicle. I may not even have a large vehicle until the actual trip, and I won’t be doing much, if any bird photography before the photo tour starts – instead I’ll be trudging the tundra with binoculars trying to find the best places for us. Having other people along inevitably slows me down a lot as I move very fast and push very hard during my pre-trip research. Meals: We'll be up too early to eat breakfast at a restaurant so on the first day I'll take us to the grocery store so we can buy ourselves some granola bars or cereal or whatever you like to tide yourself over in the morning until lunch. Lunch and dinner will be at one of the five local restaurants. There is a subway, a pizza place, a diner, and an Asian restaurant. Each of the restaurants serve both a specialty menu and an "American" menu with burgers, salads, etc. The food will be a little more pricey than in the "lower 48" but we should have no trouble accommodating everyone from vegetarian to burger lovers. I have a full sized van for our use during the trip. We'll probably store our boots under our seats, tripods and cameras in the back. I have good intentions and will be well prepared to have thought provoking and educational slideshows on the trip, but these will be more of a backup plan if we have heavy rain or something like that. Unless you tell me otherwise, I am presuming that everyone is taking this trip more to maximize productivity than anything else. In my experience, we'll be tired enough that if we have down time, everyone will fall asleep in about two seconds if I start yammering on about the history of 2D design and how it applies to bird photography. I will at least try to do a brief photoshop demo for some quick tips and tricks for editing the shots. I WILL try to talk about my photographic vision for each situation and spout off my camera settings in the field as well as peek over everyone's shoulder from time to time to check histograms and exposures. Aside from that, I'll need YOU to tell me if you have additional questions, learning objectives, or concerns. Photographers who take this trip usually know their way around their camera fairly well but please don't hesitate to let me know if you have questions. If I don't know the answer, I'll do my best to find out. My job is to know the area, do many hours of research, know and be able to ID the birds instantly and understand their habitat and behaviors, drive you to the most productive areas at the right time of day, be prepared to attract the birds or assist the group in stalking them, advise on how to make the most of each photo opp, ensure that everyone has their physical needs met, and ensure that everyone gets the most and highest quality images in the time we have. Your job is to communicate your needs and have fun. No grouchy attitudes - bird photography takes optimism, and good attitudes ensure the rest of the people around you are able to have fun. I want to emphasize that each of you please communicate with me and always keep me aware of your needs. 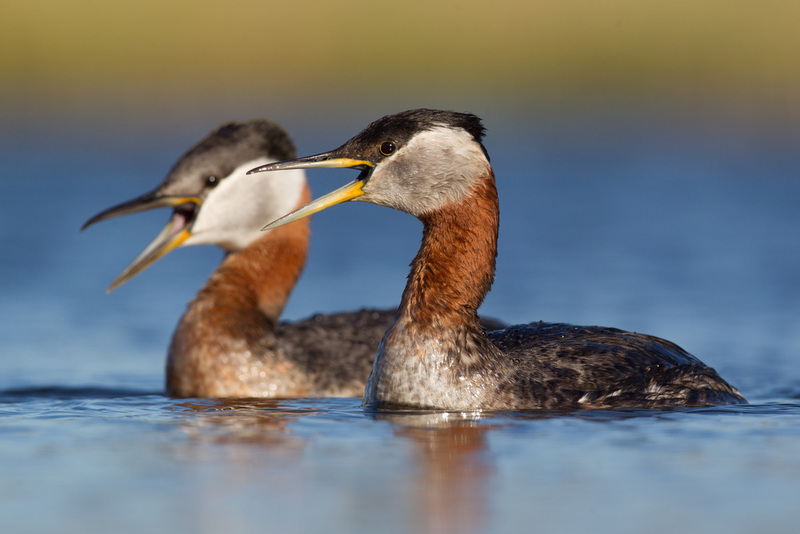 This trip's date range will make it ideal for photographing most of the breeding bird species in Nome. We'll do the old "set-up and call the birds in" routine fairly often. 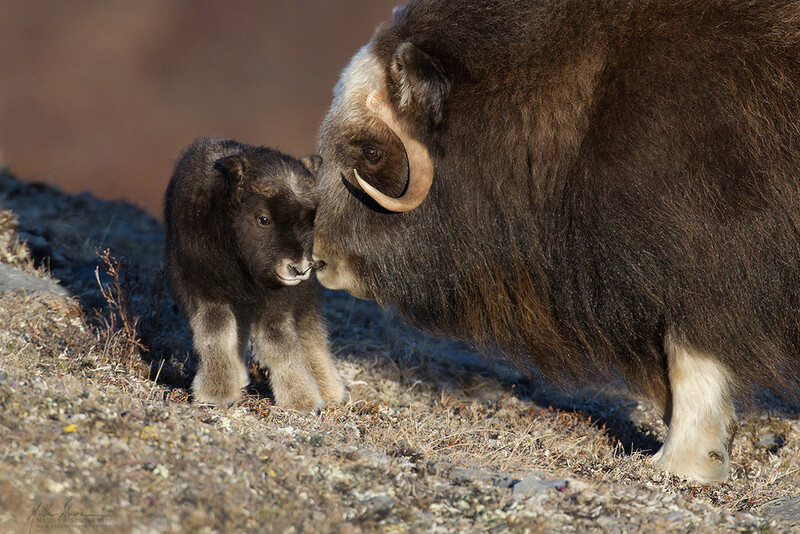 Although birds are the star of the show in Nome, we will certainly spend a little time with the Musk Ox, Caribu, Moose, and maybe a few brief stops for some scenery. To those ends, please bring your longest lens and also a landscape lens. I don't anticipate having much of a need for mid-range lenses and I suggest only packing them if you have extra room. Please e-mail me at matthewstudebaker@gmail.com if you have any questions at all!